Stop Picking at Split Ends! Who hasn’t experienced split ends before? Don’t they make you crazy? Don’t you want to take small scissors and start cutting them off one by one? But I have a better solution for you if you are willing to take 3 minutes of your daily time to treat your hair the way it deserves. You know that when you start picking your hair ends you are causing the hair to become more fragile and thinner than what it was. Later on when hair is exposed to harsh chemicals it can break or burn it direct heat is applied to it. when blow drying. Therefore, I will be giving you mini-steps to follow in order to diminish and control split ends on your hair. These are easy and safe solutions you can get done quickly in the comfort of your home. 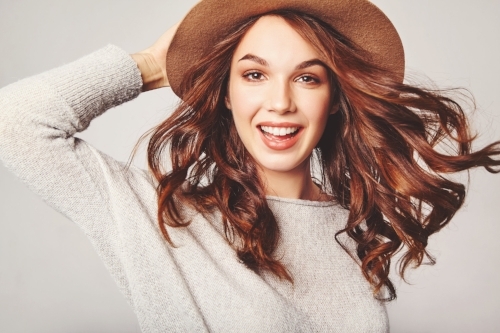 When the outer layer gets damage it will be exposing the inner layer of your hair and when this happens is because hair is lacking its keratin which is the main component hair is made of. Drench your hair with enough nutrients so it can start repairing itself. A powerful keratin based hair mask will definitely help to infuse protein and oils back to the hair. Always use a heat protectant spray or any moisturizing solution before blow drying hair. Biolage Blue Agave is a great adds shine and moisturizes hair giving it a healthier look. When is time, don’t be afraid to have a little hair trim. The hair will feel brighter and softer and even more thick than ever before. Change hair color if it is too light or to brassy. Go with softer tones such as using a demi-permanent colors instead of permanent colors. The former will allow make it look more shiny and nourished than regular color.